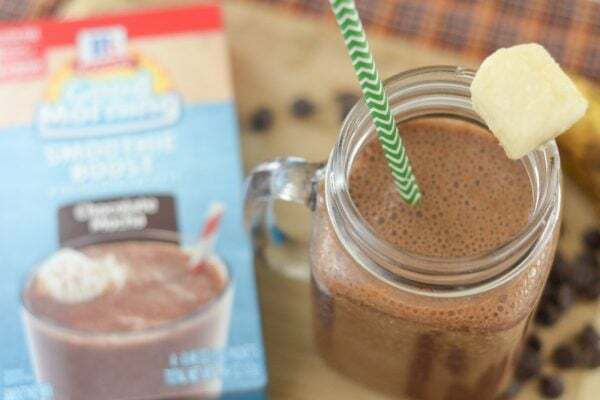 Start the morning with a delicious Coconut Chocolate Mocha Smoothie. Oh the mornings, we all know that morning will always come, right? Of course, there are some of us that are morning people. Then, there are those like me that are more of a mid-morning to afternoon person, or maybe you are a night owl? Life would be perfect if I could wake up at 9am every morning but unfortunately, I have to get up before the sun even comes up. That means that not only do I need coffee in the morning but I also need a boost of good nutrients. 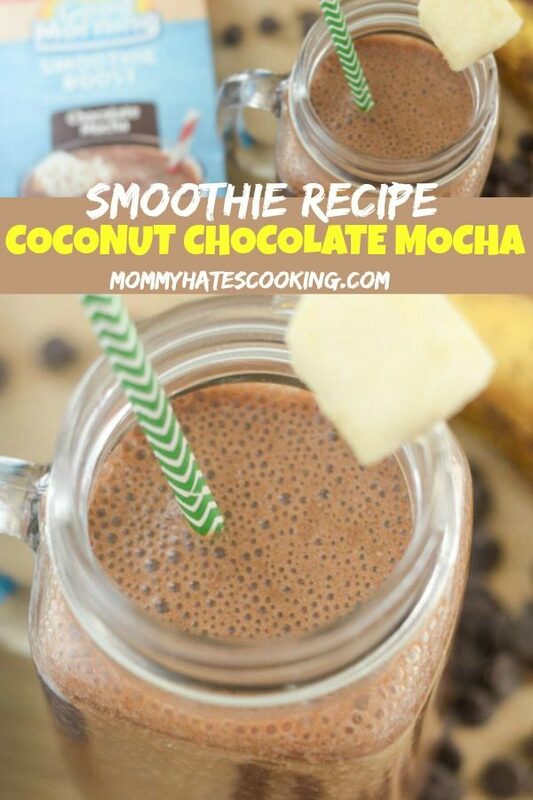 That is why this Coconut Chocolate Mocha Smoothie has become a favorite in my life. 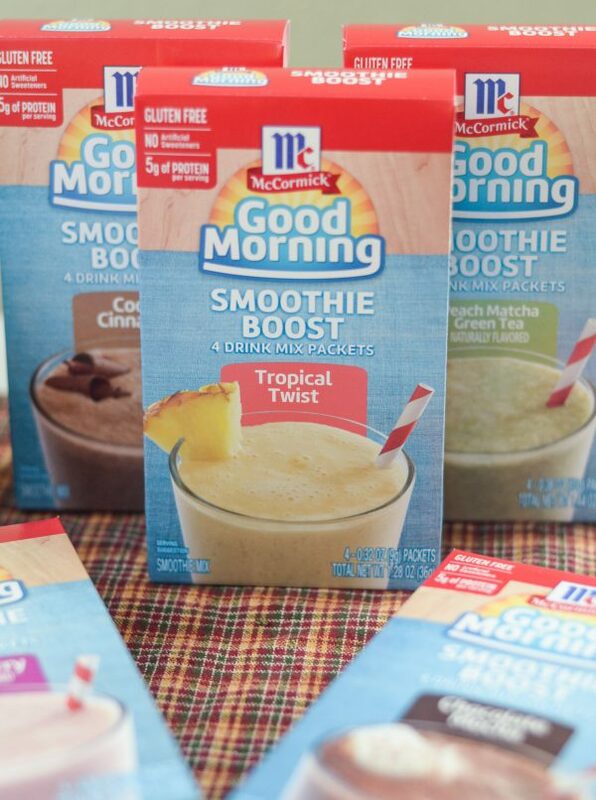 Have you seen the new line of products from McCormick? They are the Good Morning breakfast products. 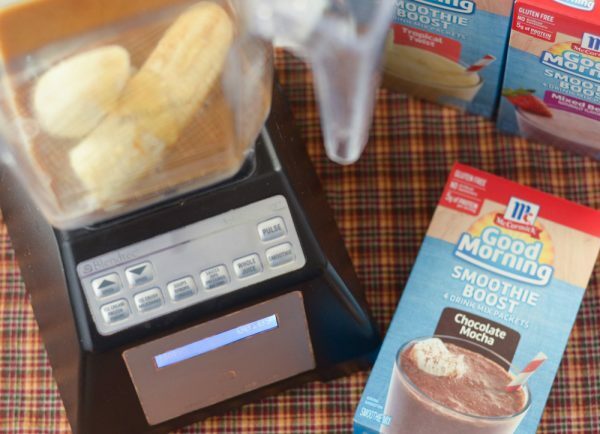 These products include Smoothie Boost, Slow Cooker, Breakfast Toppers, and Breakfast Seasonings. I have fallen in love with these products. It’s honestly taken our breakfast to a new level of delicious. I just gathered up ingredients to try this Slow Cooker Apple-Cinnamon Roll Casserole using the Slow Cooker products for our upcoming breakfast event. Doesn’t it sound amazing? Now, it’s only fitting that, as a family of smoothie people, we decided to try the Smoothie Boost. These give your smoothies a boost of nutrients and flavor all in one. It’s simple to blend them and take them on the go. They have a variety of flavors from fruits to chocolate, you will be sure to find a favorite. The Smoothie Boost is gluten-free too! 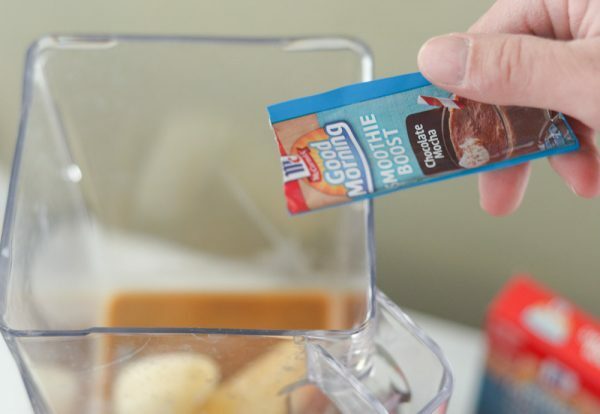 I decided to whip up a Creamy Chocolate Mocha Smoothie with the Smoothie Boost. I combined the Smoothie Boost with Frozen Banana, Unsweetened Coconut Milk, Coffee, and a touch of Honey. They were creamy and delicious; it actually reminded me of a drink we used to serve during my time working at a coffee shop in town. It could even be described as similar to a Chocolate Covered Banana with a hint of coffee. Of course, you can add plenty of coffee if you like but I’m one of those that like my coffee super sweet. 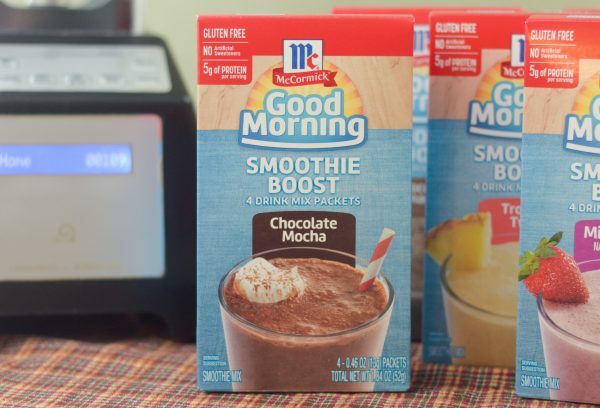 As you plan out your breakfast for the week, I encourage you to pick up some of the products from the Good Morning breakfast line with McCormick. I also want to hear what your favorite is? Blend all ingredients in blender and serve immediately. 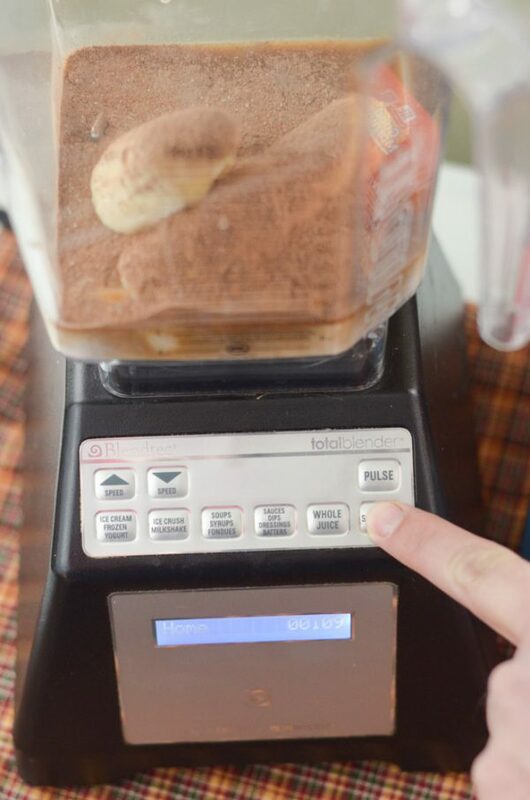 Many of the smoothie recipes add in different ingredients that the calculators associated with the recipe cards can’t calculate correctly. Personally, I don’t find many of the info that’s attached to recipes these days on websites accurate, so I’m still working to find a nutritional calculator that I like that will work with websites. 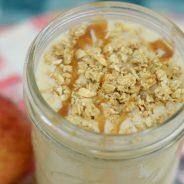 I would suggest using this one or one similar to calculate them if you’d like the nutritional information – https://www.verywellfit.com/recipe-nutrition-analyzer-4157076.